Offering you a complete choice of products which include industrial transfer pumps, stainless steel transfer pumps, slurry pumps, roto pumps, wide throat pump and chemical pumps. We are the leading Manufacturer and Exporter of Industrial Transfer Pumps and our product is made of good quality. Chemical Industry: For conveying and proportioning acids, sludges, viscous pastes, sensitive plastics dispersions and suspensions, viscous adhesives etc. Dairy Industry: For milk, cream, cheese, milk, sugar, curd etc. Food Beverage Industry: For in soup, heavy peanut butter, jam, pasty fruits, vegetables, fruit juice and concentration, grape smash, yeast, _wine, _beer etc. Cosmetic Industry: For conveying ointment, cosmetic soap, shampoos, tooth paste, cream etc. Mining Industry: As sinking pumps, sump pumps, floatation sludge pumps etc. Sugar Industry: For molasses, runoffs, concentrated waste water, sludge and saturated sludge. Paper Industry: For conveying paper pulp, glue, coatings, pastes, and fibrous material. Paint & Lacquer Industry: For handling pigments, paints, dyes, lacquer, coatings, and solvents. Sewage Engineering, Water purification & Effluent Treatment Plants: For handling waste water, settled sludge, sediment water, sludge circulation, activated sludge and other industrial effluents. Civil Engineering Industry: For Cement-water-sand mixture, cement slurry, bentonite, tar, and bitumen. Pump Housing: Grey cast iron, rubber lined, stainless steel and thermoplastic. Rotating Parts: Chrome steel, stainless steel, and alloy steel. Shaft Sealing: Plaited packings like asbestos, virgin Teflon, leakproof, single and double mechanical shaft seal. Drive: AC and DC electric motor, geared motor, and variable drives. End Connections: Flange ends to DIN standard, ASA, BS, screwed ends, IDF, and SMS. Mounting: Horizontal, vertical, any other positions and trolley mounted. We are the leading Manufacturer and Exporter of Stainless Steel Transfer Pumps and our product is made of good quality. These pumps are available at reasonable price. This pump is easy to install and works efficiently. 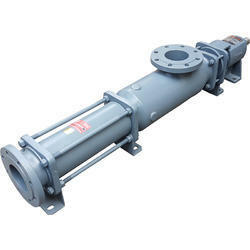 This transfer pumps can be used in various industries. Chemical Industry: For conveying and proportionating acids, sludges, viscous pastes, sensitive plastics dispersions and suspensions, viscous adhesives etc. Food Beverage Industry: For in soup, heavy peanut butter, jam, pasty fruits, vegetables, fruit juice and concentration, grape smash, yeast, wine, etc. Shaft Sealing: Plaited packings like asbestos, virgin PTFE, leakproof, single and double mechanical shaft seal. 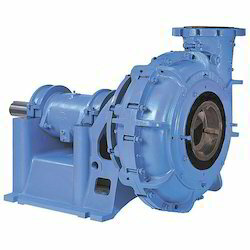 We are the leading Manufacturer and Exporter of Slurry Pumps and our product is made of good quality. We manufacture these slurry pumps using supreme quality raw materials based on latest mechanisms and well-developed technology in accordance with the quality standards. Move liquids from lower pressure to higher pressure. Ceramic tiles & insulator plant. Oil refinery & vegetable plant. Cattle feed & explosive etc. 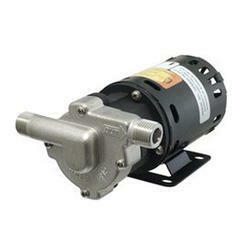 Roto Pumps are among the most reliable and long lasting PC pumps on the market. These self-priming pumps cover a vast range of applications, including high viscosity and solids content. The robust mechanics of this pump produces accurate and uniform flow, ideal for metering applications. Various material combinations are available, making these pumps suitable for most fluid applications. 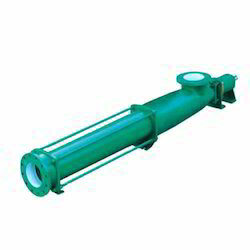 We are the leading Manufacturer and Exporter of Wide Throat Pump and our product is made of good quality. These self-priming pumps cover a vast range of applications, including high viscosity and solids content, making Roto PC pumps one of the most versatile pump lines available. We conceptually market and export of Progressive Cavity Screw Pumps. We have successfully supplied and commissioned above pumps for the various applications such as Molasses, Magma, Effluent, Raw sewage, Thickened Sludge, Gum Transfer, Various types of Oils, Resins etc. These heavy viscous pumps can also be used as feed pump in the boiler in place of conventional centrifugal pumps. High flow pumps can lift water, sludge/slurry from 8.5 MWC pit without foot-valve. 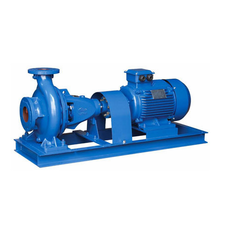 We are the leading Manufacturer and Exporter of Centrifugal Pumps and our product is made of good quality. 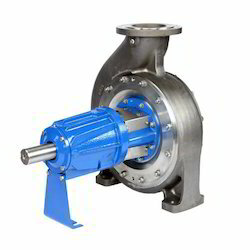 Centrifugal Pumps are among the most reliable and long lasting PC pumps on the market. To adapt to a wide range, can transfer all the media flow and material flow. Variable speed can change the output flow, can be used as a measurement of dosing. Conveying medium name, corrosion resistance, abrasion resistance, viscosity, solid content, working temperature. Operating parameter flow or flow range, maximum pressure, continuous or intermittent operation. The installation environment is horizontal or vertical, fixed or moving, the special requirements of connecting pipe, explosion-proof protection requirements. Correct selection is the key to obtain the best results, to meet the different physical media, chemical characteristics of operational requirements, we suggest that users put forward pump operation data, recommended by our company is specialized in personnel selection and finally confirmed by the user.